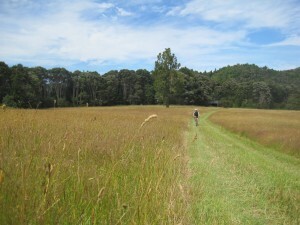 After the last debacle when we tried to go mountain biking at Hunua, I felt another attempt was in order. Summer has been fantastic here, with warm sunny days just rolling on. Perfect level of warm too, not like the “heat dome” or whatever they’re calling it that’s burning Australia to a cinder. This time around I was sure to triple-check the footwear packed in the car. No mistakes this time. 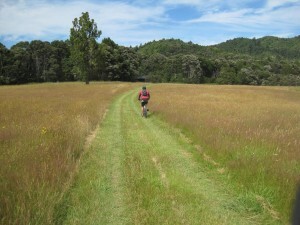 Just a nice ride through the bush, fields and streams of the mountain bike trails at Hunua. 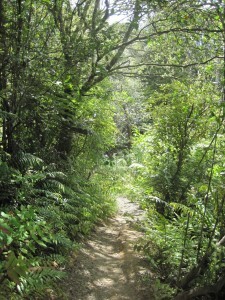 In the past, the trails were a mix of single-track through the bush, and gravel roads. Turns out that there’s been a fair bit of work done to build up some new trails, so where in the past you would have gone onto the gravel road, now you stay in the bush much longer. 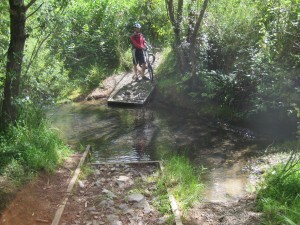 This is all good, but it does mean a LOT more riding if you’re doing the standard loop. At one point Anna “hit the wall”, and my life was only saved by an emergency infusion of raspberry liquorice logs. Things would have been very, very grim if I wasn’t carrying the right supplies. Lucky. Very hot, and very tired by the time we made it back to the carpark. Perfect.